It is the Renter’s responsibility to ensure comfort & set up is correct before departure, as well ensuring that the issued equipment (bicycle, helmet, tools etc.) are received in good order. The Renter shall not deliberately abuse the equipment e.g. jumping over objects, skidding, dropping equipment etc. 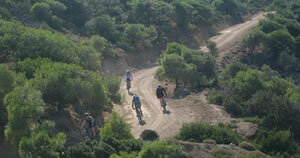 The Renter herewith acknowledges that he/she is aware of the risks involved while riding the bicycle on and off road. No alcohol or senses impairing drugs should be consumed, in any way, before or while riding the bicycle. The Renter confirms that he/she is physically and mentally fit & able. If the Renter is between 16 to 18 years old, written parental consent is required. It is the Renter’s responsibility to be converse in puncture repairing. No lending or hiring the bicycle to a third person. No riding or pushing the bike on the beach. Sea/ Salt spray must be avoided at all times. Whenever the bike is unattended it must be locked to a fixed object that cannot be easily manipulated and all loose articles, like saddle bags, pumps, helmets, to be taken with. In case of theft or damage, the full replacement value will be charged to the Renter. At night, the bicycle is recommended to be locked inside the Renter’s hotel room, if possible. Alternatively the bicycle frame must be locked against a fixed immovable object. The bicycles are not equipped for night riding. 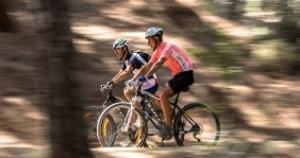 The bicycle should not lean on the brake discs or the derailure/gear changer (rear –right hand side) at any time. 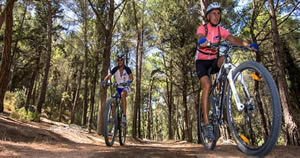 The Renter assumes own responsibility of his/her knowledge and conduct in the traffic and must be aware of dangers and risks involved when mountain biking on theisland ofKos. – eg equipment , terrain, traffic etc. It is the Renter’s responsibility to ask questions if there is uncertainty, before departure. The amount paid for the hire of equipment is non refundable. It is the Renter’s responsibility to return the bike before 19:00 hrs on the agreed return date, else a penalty fee will be incurred. The rental fee is to be paid in advance. Cancellations of pre-bookings must be made at least 48 hours before by the Renter. Within 48 hours or less, a cancellation fee of €15.00 becomes effective. In case of return of the bike before the expiry of the rental period, no refund can be given. 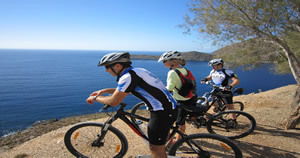 Kos Bike Activities is not liable for loss/damage to participant’s possessions or injury/death to participants. Participation at own risk. Any disputes arising hereunder will be settled by Greek law.